JOKO is one of the most popular Polish cosmetic brands, which is successfully producing cosmetics for make-up for more than twenty years. Brand cares for the quality of the products offered by developing modern production technologies. It constantly observes new technical and technological solutions, introduces new components available on world markets. 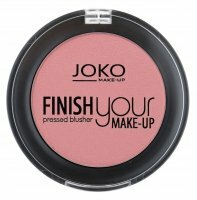 JOKO cosmetics are beautifying and caring. Brand stylists keep track of current and upcoming fashion trends, allowing you to create seasonal collections that perfectly match the colors of the season. Basic lines contain classic, timeless colors. The brand uses Swiss micronisation technology - which can compete (successfully) with the quality of leading foreign brands. JOKO strives to reach out to their wide range of women with their high quality and low price products. Joko - Page 1 of 1, 8 products.